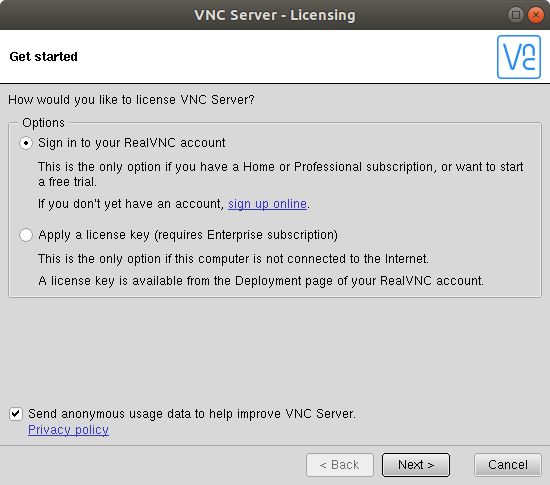 RealVNC is a commercial company that sell VNC license for the enterprise market. 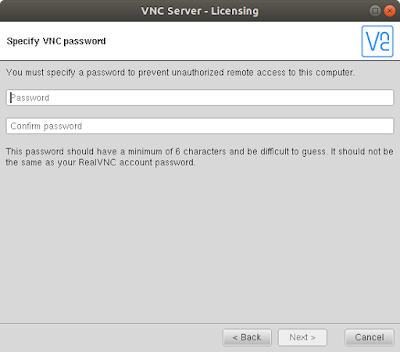 However, the company allow home user to setup VNC server for personal use. The limitation is that you are only allow 5 connection. User must register an ID with the company. 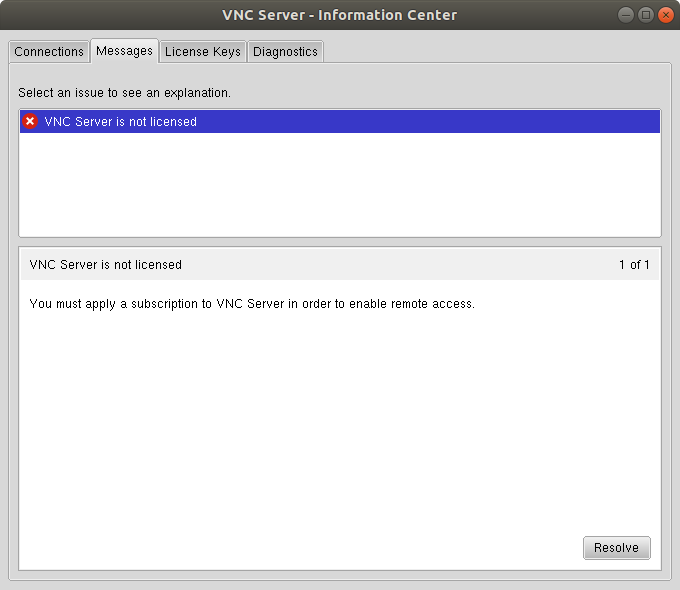 The configuration of your VNC will be stored on the company's server. Since RealVNC is professionally produce, it is much better compare to the open source product in Linux. The main advantage is easy configuration although there are steps to install and start the server especially on Linux platform. We do not need to worry about ip address and port number. 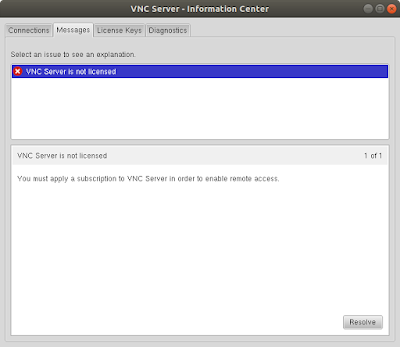 What the server and client required is our RealVNC ID which we have created. 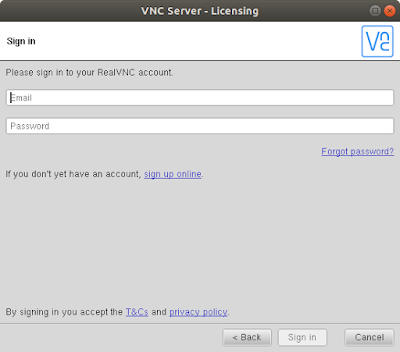 Unlike the default Vino server that comes with Ubuntu, RealVNC will start without user login. The system is created with security in mind. Encryption is done transparently without any intervention from user. 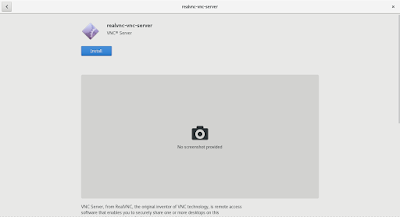 We will be showing a simple guide on how to install and Configure RealVNC Connect (server) in Ubuntu 18.04 LTS. Goto https://www.realvnc.com/en/onboarding/home/ watch the video and create an account starting with entering your email address. You need to verified your email address before everything is ready. 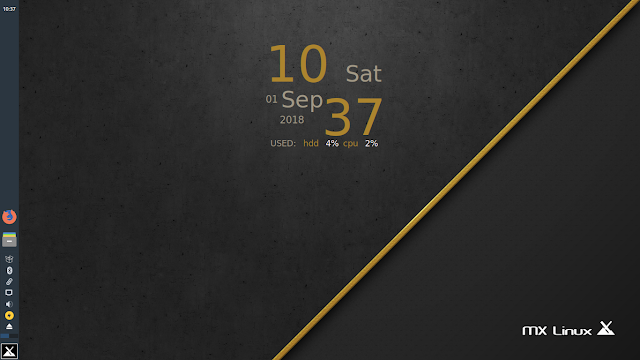 Goto this site https://www.realvnc.com/en/connect/download/vnc/ and choose Linux as the platform. Select DEB x64 and click to download. 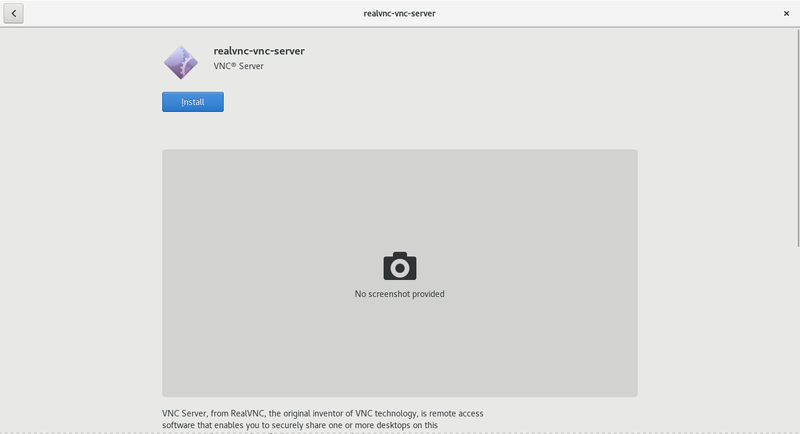 Unfortunately, ReadVNC Connect (Service mode) is not supported in Ubuntu 18.04 LTS with Wayland enabled. We can still install RealVNC Connect in Ubuntu 18.04, however, we need to disable Wayland. Before we disable Wayland, we need to switch to open source linux video driver instead of Nvidia third party driver. We can switch the driver by going to Software & Update app, select Additional Drivers and change to x.org driver. Perform a reboot first before we continue. Uncomment WaylandEnable=false. Save the file and reboot Ubuntu. 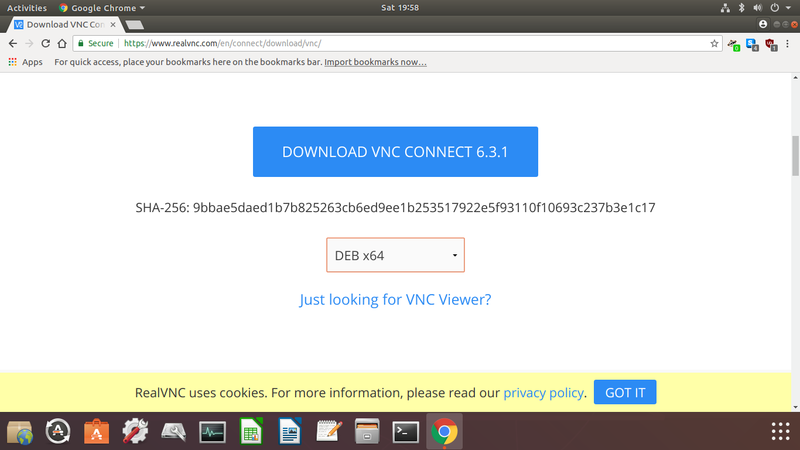 To install RealVNC Connect, double click on the downloaded file in the download folder. Ubuntu Software will take over the file, click Install to proceed with the installation. Once installation is completed, we should have the screen below. Created symlink /etc/systemd/system/multi-user.target.wants/vncserver-x11-serviced.service → /usr/lib/systemd/system/vncserver-x11-serviced.service. 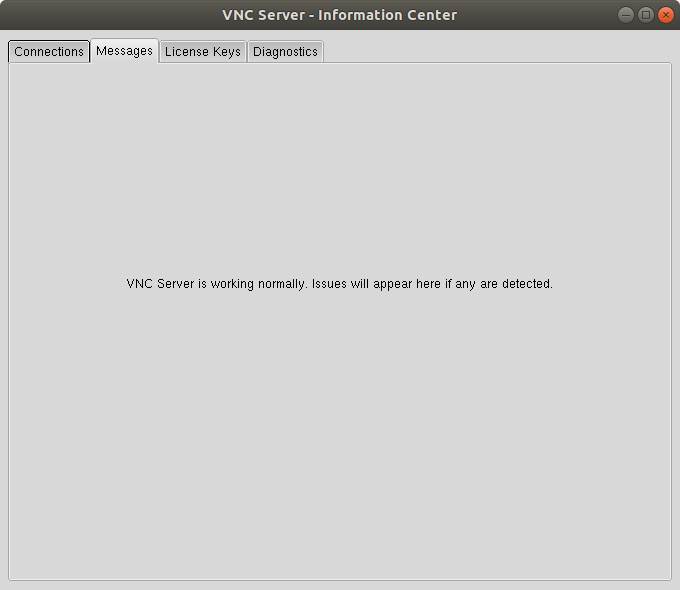 Once the server is started, a VNC icon will appear near the top right corner. Click on the icon and the following screen will appear. 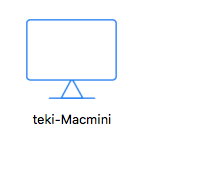 The screen shows that it has not been configured. Click on the red X and the following screen will pop up. Click Resolve on the lower right corner to resolve the license issue. The following screen appear. 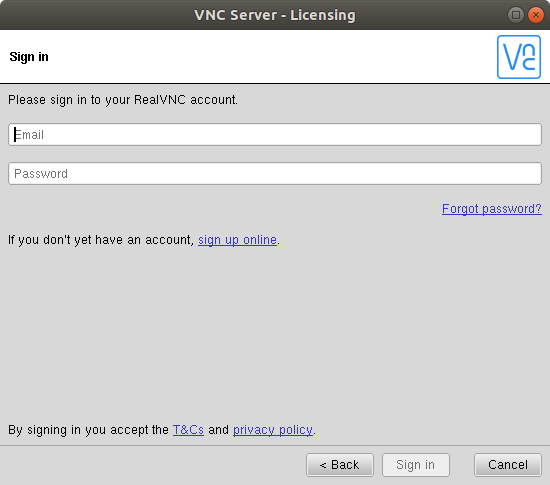 Since we are using the home used license, we just need to sign in the RealVNC account. Click Next. Enter the email address and the password. Once the email and password field is populated, we should be able to sign in. Click Sign In. 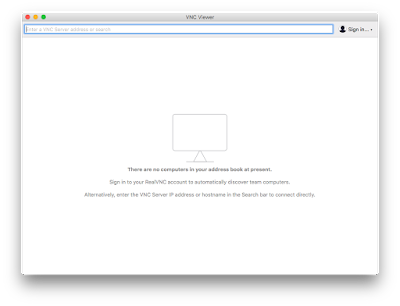 Once the sign in is successful, we need to set VNC password for every client to login. Please note that this is not the password of RealVNC account. 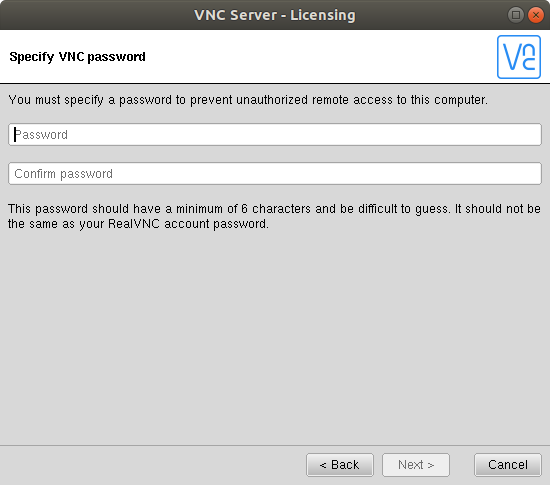 This password is required when any other workstation need to connect this VNC server. Set and confirm the password. Click Next. This box will present the server information including your RealVNC account information. Click Apply. Once it is completed, click Done. The server message will disappear. On the main server page, there will be a green tick sign showing configuration is done. 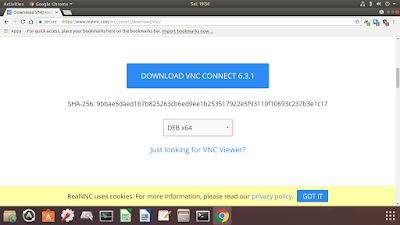 To launch VNC Client, we need to download RealVNC Viewer. RealVNC Viewer is available in Windows, Mac and Linux. Once we install the viewer, there will be no configuration required. We just need to login our RealVNC account and the viewer will automatically populate the remote station. We just need to launch the pre-configured remote station and enter the VNC server password we have set. Please note that to completely remove any related data please follow the advise on the following post. We also need to remove the computer information on the RealVNC account. To do that, please login to RealVNC using your account. Under your login name, select Computer. In the computer page, it will contain the VNC server information which we previously setup. We can remove any remote workstation we want. Installing RealVNC with Linux Mint is much easier. Please note that we only tested Linux Mint on Cinnamon, so we do not need to disable Wayland. However, if you install Linux Mint with Gnome, you might also need to disable Wayland. Using Linux Mint with Cinnamon, installation process is straight forward. Configuration is also the same as above. The only caveat is that Nvidia driver is not recommend when using with RealVNC. This is because, during boot up, if no monitors are detected, the system will not start X window. RealVNC server will be running but it could not show desktop since no windows was started. We would recommend to use the default nouveau driver. The system could boot up without monitor attached. Please note that Fedora is also not compatible with RealVNC server. We need to disable Wayland. The location of the file is at /etc/gdm/custom.conf. Refer to the note on top to start and launch the services. Please also note that Fedora need to be run with monitor attached. RealVNC will not work well if Fedora was booted headless (with monitor connected). You can also use the above command when you have difficulties in completing the wizard due to insufficient privilege. 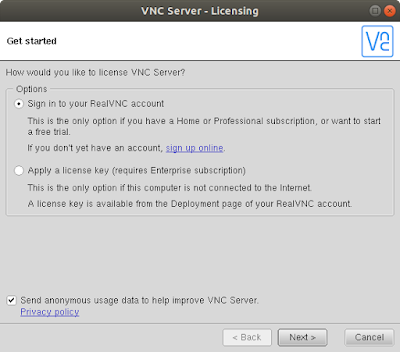 Once we login with our RealVNC ID and the wizard completed its configuration, the VNC service will be available. How do I get started with VNC Connect on Linux?